First of all, I want to share with you a case which I treated about 10 years ago. A 3-year-old girl came into my clinic with her mother. The mother described to me her daughter’s symptoms: every hot-dry season her daughter’s bowel movements became dry and hard and she could not go to the toilet everyday. The little girl got nosebleeds very easily; her temper became very emotional and moody and her body became very hot with a red face. I checked the girl’s pulse and tongue using Traditional Chinese Medicine diagnosis and collected other symptoms. I concluded that the little girl had a Lung Yin deficiency which was aggravated every year by an invasion of dry-heat pathogenic factors from an external source (the season or dry-hot weather). I told the mother to let her daughter drink pear and sugar cube soup. This soup can moisten and clear heat from the Lungs. After drinking this soup a few times the girl’s symptoms disappeared. Throughout my clinical experience, I have found that many cases can be helped just by a special diet according to Chinese Medicine diet therapy principles. For chronic illnesses, the special diet can also provide great support for the treatment. In Perth, Australia during the summer months the day time becomes very hot and dry. The reduced rainfall and the hot-dry wind leaves the air dry and warm. The dry-hot season can affect the function of our Lungs in a certain way. i) Chinese Medicine considers that the health of the human body relates strongly to the environment. This is particularly relevant to the Lungs because they are open to the environment through the nose and mouth. ii) The character of our Lungs prefers moisture and do not like the dryness, therefore the dry-hot season does not suit the Lung function and can be adversely affected through the airways (ie. nose & throat), especially for someone who is already experiencing a weakness in the Lungs. iii) Around 2,000 years ago Chinese Medicine identified that the Lungs dominate breathing as well as the skin. In Chinese Medicine the Lung and the Large Intestine is connected and relate to or dominate other parts of the body. Therefore if the Lung is attacked by hot-dry pathogenic factors, it can also cause problems in the intestines and the skin. If you have the conditions or symptoms mentioned above while undergoing your treatment, you can also have certain foods – pear is one of these foods. Chinese Medicine considers certain foods can be eaten to balance certain internal organs. Pear is one of the foods that can help Lung function. In the Asian Chinese book, Ming Yi Bei Lu, it is said that the taste of Pear is sweet & mildly sour, while its character is cooling and moist. It can increase the body’s Yin fluid and clear heat, cooling the body. These effects particularly relate to the Lung and Stomach organs and meridians. Because of the Pear’s cooling & moistening effects, eating a certain amount of Pear each day in the hot & dry season is suitable for the symptoms mentioned above. I suggest you have pear with cube sugar and pear with white fungus soup. These two recipes are very popular in beauty therapy for dry skin. In the dry-hot season pear can help maintain and add fluid to the body and clear heat from the body, thereby increasing the Lung moisture, reducing and preventing Lung damage from the dry & hot season. If you have a chronic dry cough, suffer bronchitis or asthma and experience constipation, eating Pears in conjunction with your treatment can relieve these symptoms with its cooling and moistening properties. Smoking can dry out the Lungs. 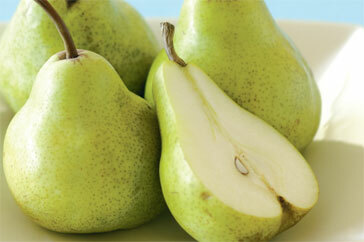 Eating Pears can help increase the moisture and reduce the damage in the Lungs from smoking. For all of the conditions mentioned above, I suggest eating 1 Pear per day or a traditional and popular desert, we call Ice Sugar Cube Pear dessert. This will provide moisture to the Lung, skin and Intestines, reducing the symptoms and increase the health of your Lungs and Immune System. For the symptoms described above, I recommend one of the following pear recipes 2-3 times a week. This is a very traditional and very popular Chinese diet therapy soup. Combine the pear and ice-sugar cubes in the water, bring to the boil and simmer for 5 minutes. Once cooked, you can drink the liquid and eat the pear. Discard the pear core, this is not to be eaten. For best therapeutic results, refrigerate or cool the desert before eating or drinking. Effects of the this recipe: This dessert is cooling and adds moisture to the Lungs. It also clears heat from the Lungs and Large Intestine and helps the body to reduce the symptoms which have been mentioned above. This desert can be eaten 2-3 times a week. If your body has a problem with sugar, do not eat Ice-sugar Pear desert. Soak white fungus in water for 3 hours. Chop the soft part of the fungus into pieces and discard the harder centre piece. Boil the soft fungus and pear in the water for 10 minutes on low heat. You can drink the soup and eat the white fungus. Effects of this recipe: Clear the Lung, moisten skin and help to stop dry cough. i) Pear is not suitable for people with the following symptoms: diarrhoea, cold hands and feet. ii) If you are unsure whether pear is suitable for your body’s constitution or condition, please contact your experienced Chinese Medicine practitioner. Thankyou for your write out on the newsletters. Very informative. Very useful. 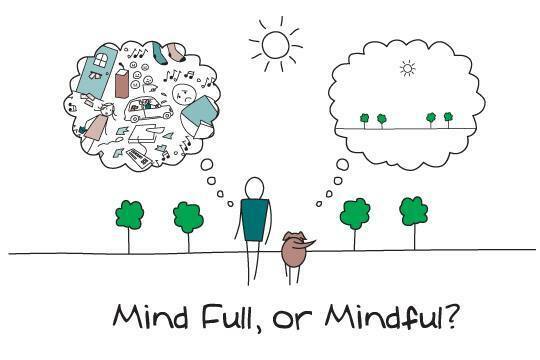 Have been sharing around with family and friends. I am searching for the ice sugar pear desert recipe but to no avail. Hope to get that recipe from you. I wish there was such a great TCM clinic in Sydney as yours. The first time in my life I wish I lived in Perth. is there some or any truth that a naturally weak, small voice is because of weak lungs? I want to have a naturally projecting and louder voice but I don’t want to have to shout or strain my voice which hurts my throat. Dear Sophia, Chinese medicine would regard a naturally weak voice as a deficiency of “Lung Qi”. You could try practicing Qi Gong, swimming or other exercises that can help to increase the function of your breathing and capacity of your lungs. For further advice you could visit an experienced Chinese medicine practitioner, especially one knowledgable in lifestyle and diet therapy.